The copy chief hands him the file with the typed copy in it, and the man sitting at the desk takes out his pen. The newsroom is dark, the clock is ticking, and the most important and sensitive story he will ever edit has arrived – like all important and sensitive stories – right on deadline. He looks up at his manager, the two men alone in the office at an epochal moment for journalism and America. “You’ve got half an hour,” says his manager gruffly. For years, only one copy editor had ever appeared as a character in a feature film: Lou the front-page sub in Ron Howard’s 1994 comedy The Paper. * But now there are two, because in Steven Spielberg’s latest film, The Post, the focus is almost as much on newspaper production as it is on newspaper editing and reporting. 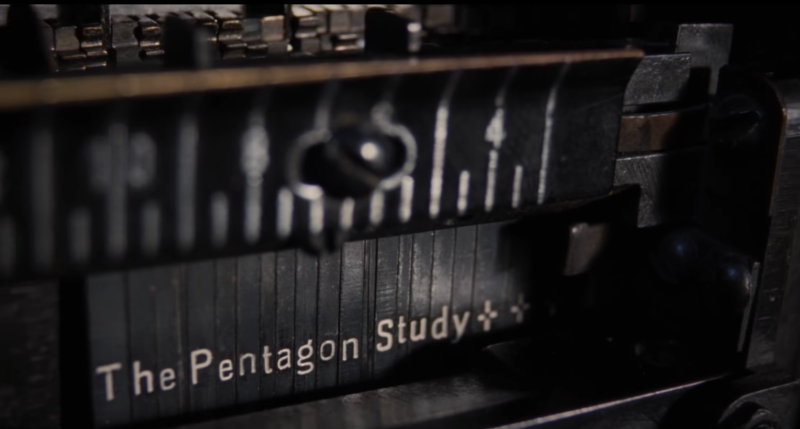 The story of the Washington Post and the Pentagon Papers – the leaked documents that destroyed the credibility of the war in Vietnam – is a subject worthy of what my boss at the Tribune refers to as “late-period Spielberg”: those recent films of his that tell huge American stories magisterially, at a medium pace and with limpid period detail. The ethical struggle between the first amendment and the security state is an eternal theme, taken up in several movies. But for someone like me who started their career in the Quark XPress era, it’s the recreation of a 1970s newsroom that’s really mesmerising. There are enormous ties, and early colour TVs, and people in the background flicking through galleys with a familiar look of rising concern on their faces (is there a page missing here, or is this actually what was filed?). There are linotype machines filmed in fascinating close-up, real slugs coming out and being loaded into formes, famous headlines shown reversed in metal. There is also – and this is the thing I most regret never having seen – a pneumatic-tube messenger system for sending copy to the composing room in metal cylinders. And there is also a copy editor. Only one, again, as in The Paper (although, to be fair, he and the copy chief had probably stayed behind specially). And he barely speaks, except to ask for a messenger tube. But you can tell he’s a copy editor, because the first thing he does, with the presses trembling, his proprietor under pressure and the reputations of four presidents hanging in the balance, is calmly cross out the first sentence of the story. Then as now, sometimes the most important cut is the one you make in the first paragraph. I like to think it said something like “Bombings and deception and McNamara, oh my!”. But it was probably something more like: “It’s official …”. * To be absolutely accurate, as readers have pointed out previously, Drew Barrymore’s character in Never Been Kissed is also, notionally, a copy editor: but as she (a) appears to have an office to herself and (b) gets sent out on a whim to off-diary feature assignments, you would be forgiven for mistaking her for a columnist. Like the costumes and the hairstyles, it all seems redolently in-period. 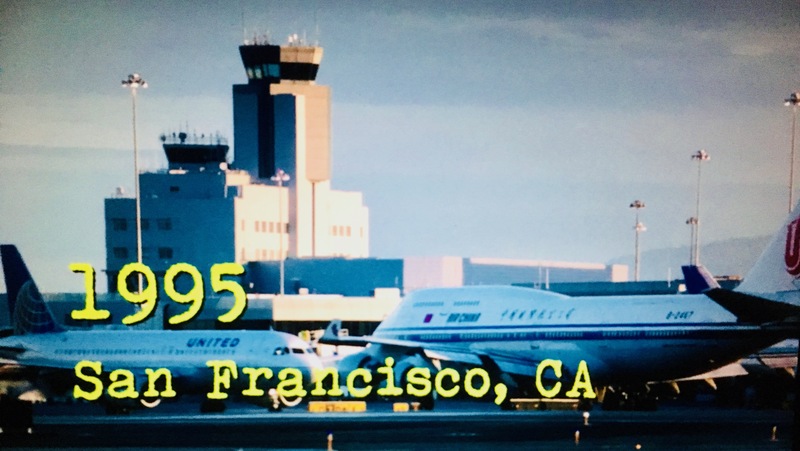 That’s the old San Francisco airport control tower, not the new one that was opened in 2016. The 747 on the right looks convincingly retro in Air China’s old-fashioned livery. But what about that plane on the left? The lettering says “United”, but the logo on the tail, an outline globe over a blue background, is the mark of Continental Airlines – or it was, until United and Continental merged and decided, unusually, to adopt United’s name but use Continental’s livery on all its planes from then on. That merger took place in 2010: which means that this pleasingly period-looking footage cannot be more than eight years old. How did I notice that? Just by chance. As a frequent flyer to the US, I eagerly hoard my airmiles. The obvious way to do that is by always flying with the same airline: that way, the free flights and upgrades come quicker than they would if you were slowly accumulating credit with multiple carriers. The airline I flew with repeatedly over the years was Continental: so I heard about the merger in customer emails, saw the name change on the website, nervously logged on to United’s loyalty programme to check that my airmiles had been transferred. I had no idea that San Francisco had built a new control tower: I haven’t been there for years. I didn’t know that Air China was painting its planes to look like that well into the 2010s: I discovered those facts on Google. 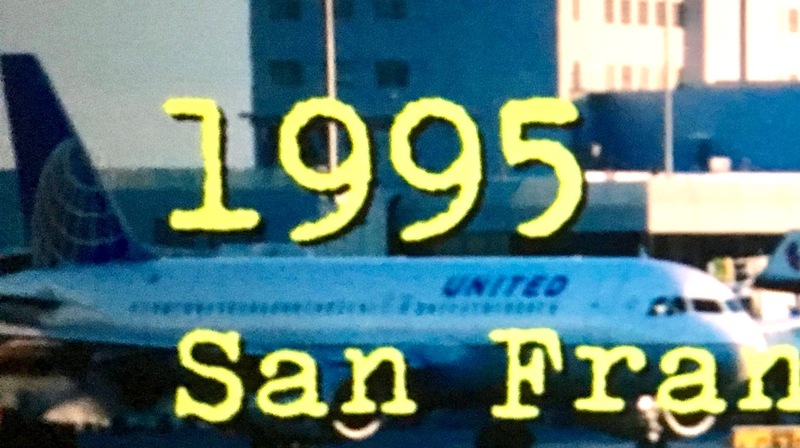 Now that I look into it, I’m not sure that the flowery logo on the 747’s tail is correct for the period either, or that that model of United Airbus was even around in ’95. But all this would have been a closed book to me before. I’m not an expert on civil aviation: the logo on the tailplane was the one thing I noticed. And editing can be alarmingly like this as well. Internal inconsistencies in copy – variant spellings, bad maths, impossible chronologies – are obvious from the text. Names, dates and places can all easily be checked with other sources. But even with the highest levels of professionalism and diligence, some errors will only be spotted because you happens to know something. Sometimes, it would need a baby-boomer editor to tell the difference between Bob Dylan and a Bob Dylan impersonator before broadcasting footage of the latter on the BBC. Sometimes, it would need a Gen-Xer to know where Luke Skywalker and Obi-wan Kenobi first met (hint: not in the cantina). These are the kind of facts that have to be known, rather than checked: there is scarcely time in a daily news routine to compare photographs of musical pioneers or rewatch Star Wars, just in case.